Remember Willie Nelson’s hit song On the Road Again? That’s the marketing team’s theme lately visiting three farms in Indiana, Minnesota and Ontario in June. Strangely, or perhaps appropriately, I heard On the Road Again at least 10 times (no exaggeration) during the two hour trek from Toronto to visit Todd Holm and family in Elmwood, Ontario, a hamlet of 50 people. 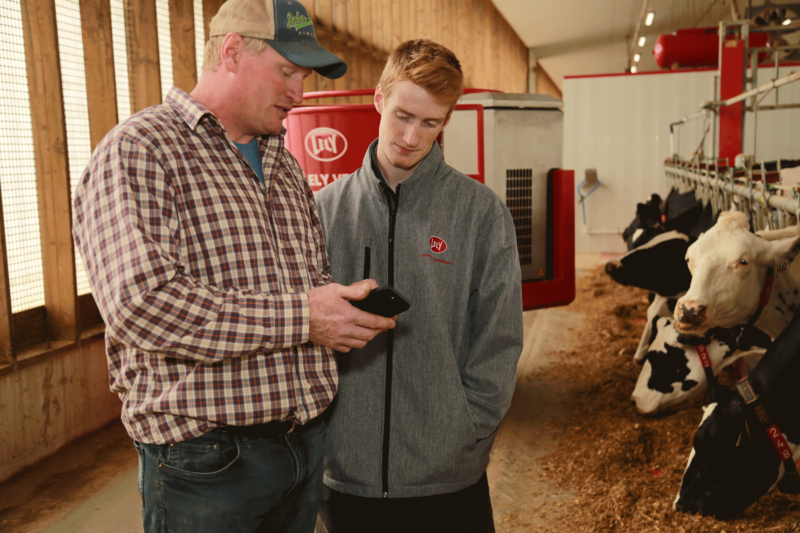 Todd, a fifth generation dairy farmer, operates Holmdale Farms, what I call a red barn, with three Astronaut A4 automated milking systems, a Discovery barn cleaner, two Calm calf feeders, a Vector automated feeding system and three Walkway foot baths. The A4s are the second generation of robots at Holmdale Farms. Back in 2007, they transitioned from milking in a rotary installed the same year Todd was born to using two A3 automated milking systems. Todd cites two reasons he decided to upgrade to the A4: the strong trade-in value of the A3s and the improvement and new features of the A4. Todd added the Vector to the line-up of automated equipment a year and half ago. Two mixing feeding robots (MFR) move around the barn approximately 50 times a day delivering 30 different loads of feed supplied by the feed kitchen. A laser on the MFR checks the feed height to determine when more feed is needed. Prior to installing the Vector feeding system, Todd spent three hours or more feeding -- sweeping, pushing feed and running the tandem feed truck. With the Vector, his 15 year old son Keaton, manages the feeding. Keaton comes home from school and heads to the barn to cut blocks and fill and clean the kitchen. He estimates it takes him less than an hour. 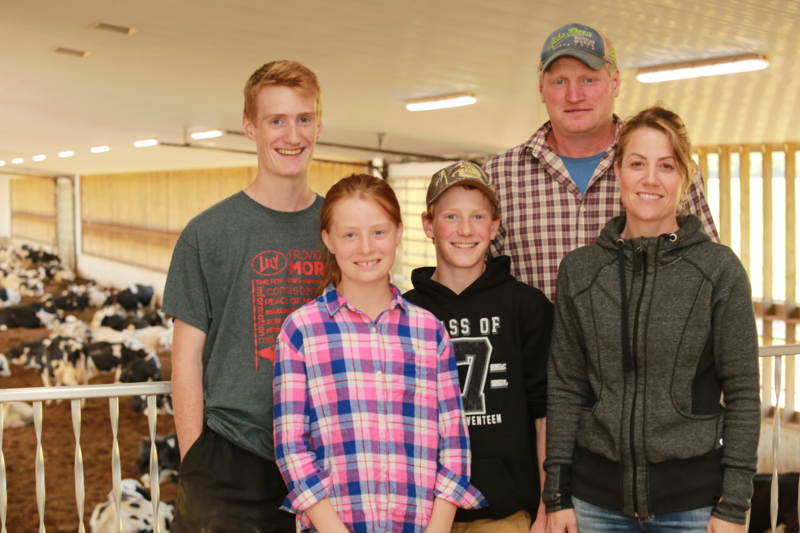 The Holms’ noticed their herd eats the most between 4:00 and 5:00 pm. They noticed the feed bunks were low by 7:00 pm. A setting on the Vector allows them to set different feed heights for various times of the day. So, they bumped up the feed height for 3:00 pm so their herd is never low on feed. Additionally, when it’s hot, they can turn down the levels so feed isn’t sitting around during the hottest part of the day and lift them again in the evening.